Remember Libre Computer Renegade SBC – aka ROC-RK3328-CC – based on Rockchip RK3328 processor, and launched last month on Indiegogo? The crowdfunding campaign successfully completed a few days ago with over $20,000 raised from close to 250 backers. 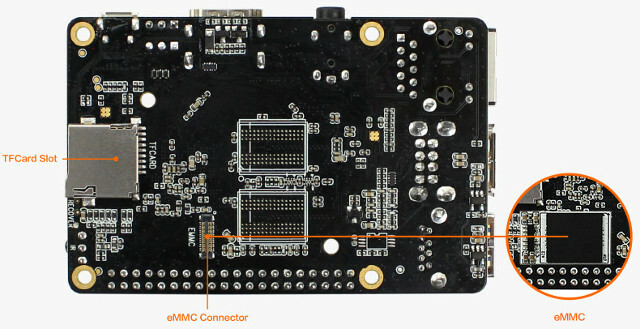 When we zoomed on the board we could see markings on the board indicated that it was made by Firefly team, the makers of boards such as Firefly-RK3288 Reload or Firefly-RK3399, and the company is now selling the board with 1 or 2GB RAM for respectively $35 and $50 plus shipping, but the 4GB version is not up for sale at this stage. The board will ship with a micro USB cable, which will mitigate some of the micro USB powering issues some people may have had otherwise. The company provides Ubuntu 16.04 32- & 64-bit, Debian 32-bit, Android 7.1.2 firmware images, as well as the Android SDK and tools for download (Baidu links only for now). Android & Linux software and hardware documentation is also available. Thank to Fran for the tip. In other words, more expensive than ROCK64 with 4GB RAM! the rk3399 board is a bit pricey, IMNSHO! I believe the price difference between this board and ROCK64 is due to its use of much faster DDR4 RAM. There’s a lot more software tuning around the eMMC, MicroSD card, and DDR4 than the ROCK64. It also doesn’t have NC GPIO pins which PINE64 guys seems to love to silently tuck into the schematics. You can’t reuse Pi accessories with overlays even if you had the software chaps. 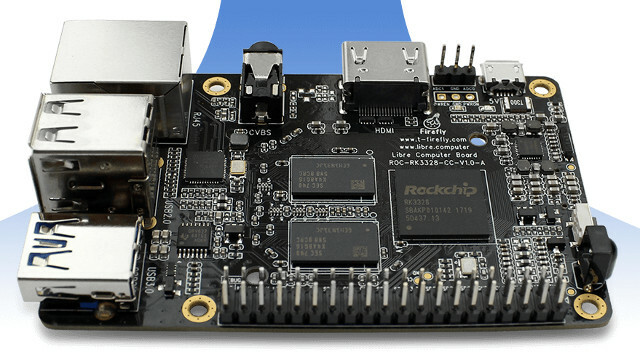 @ayufan Rockchip engineers will be upstreaming support into mainline for this board. The price for the 4GB version will be $80. So much the same “Libre Computer Board ROC-RK3328-CC” is offered. You need to see they use ddr4 how ? MHZ , rock64 is ddr3 1866MHZ . If DDR4 only around 2133MHZ i think so not faster than ddr3 many more just you will pay more money . I would however like to integrate it with Laird’s 60-SIPT Wi-Fi Module with either Rock64 or ROC-RK3328-CC. Any idea about which development board would support easy integration( software and hardware). The Laird module supports SDIO, USB, & PCIE interface according to its product page, so I’d assume any board will do.